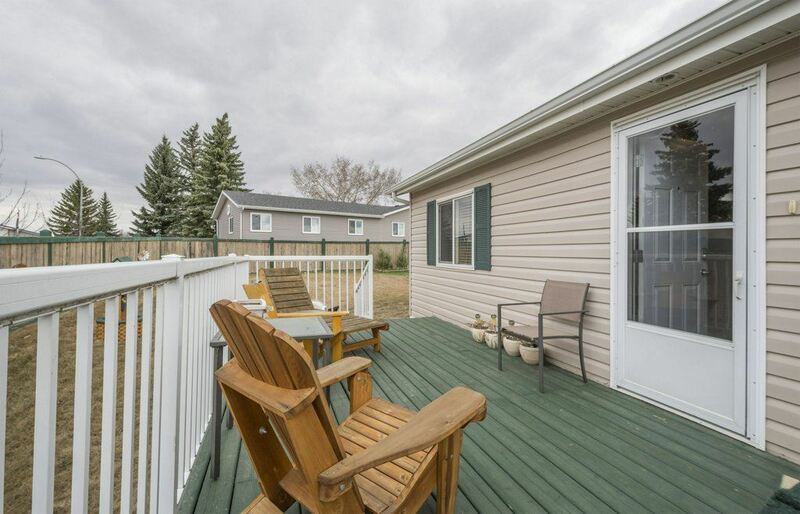 Courtesy of Jazmin Laframboise of RE/MAX River City. 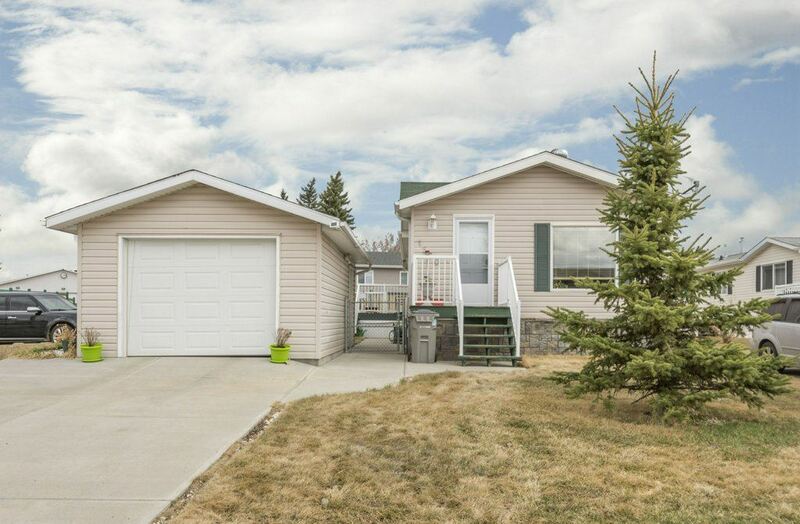 One of a kind home is EXCELLENT VALUE with an OVERSIZED SINGLE GARAGE on a MASSIVE corner lot! 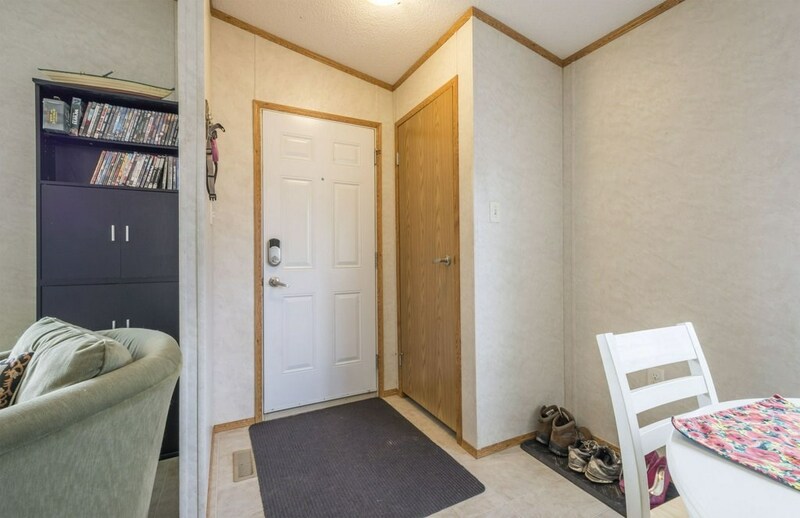 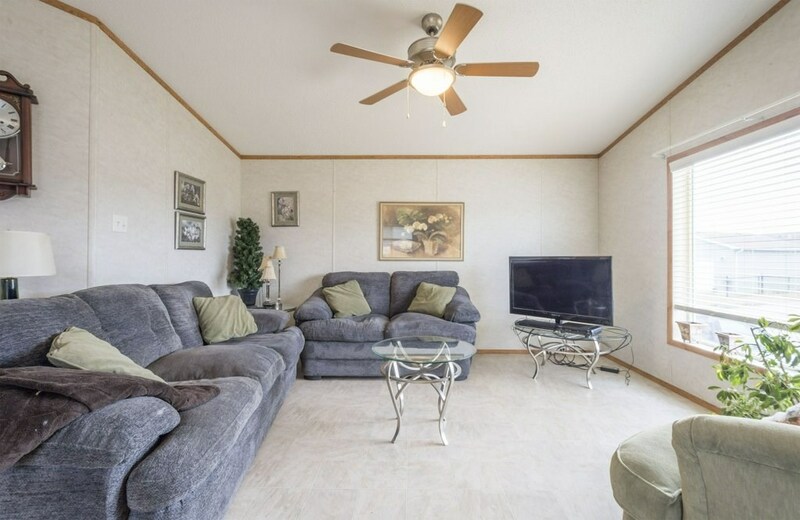 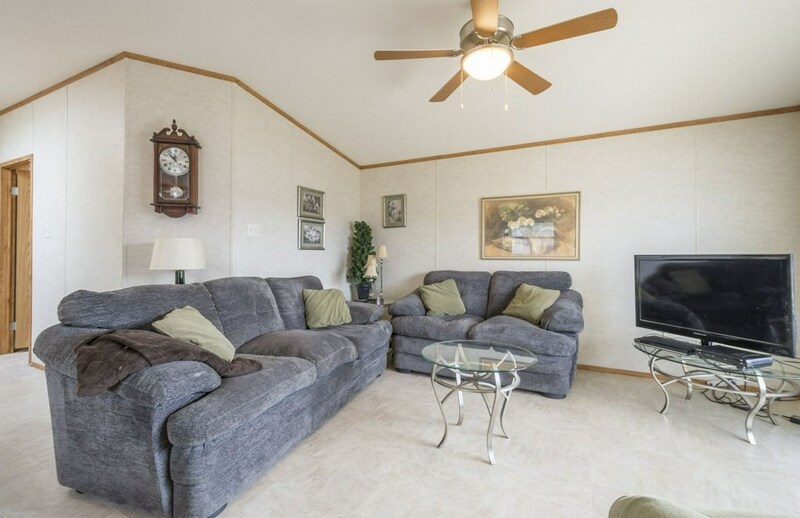 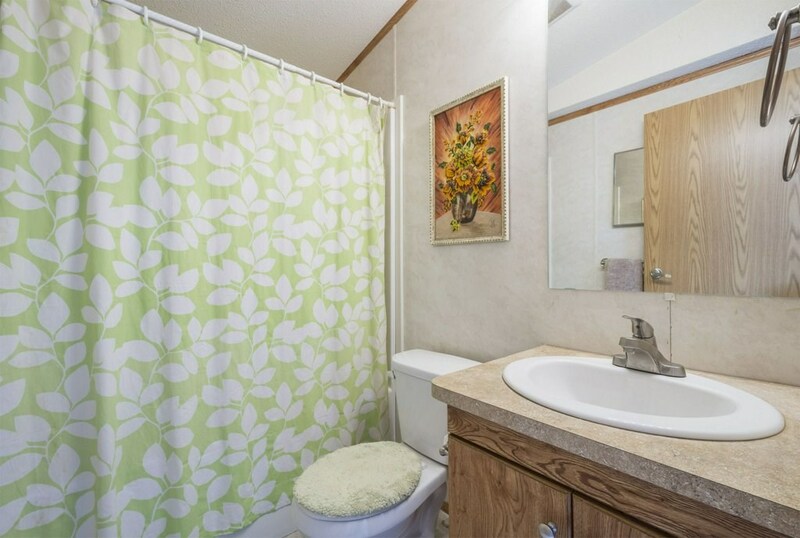 Unique floorplan has 3 beds and 2 full baths. 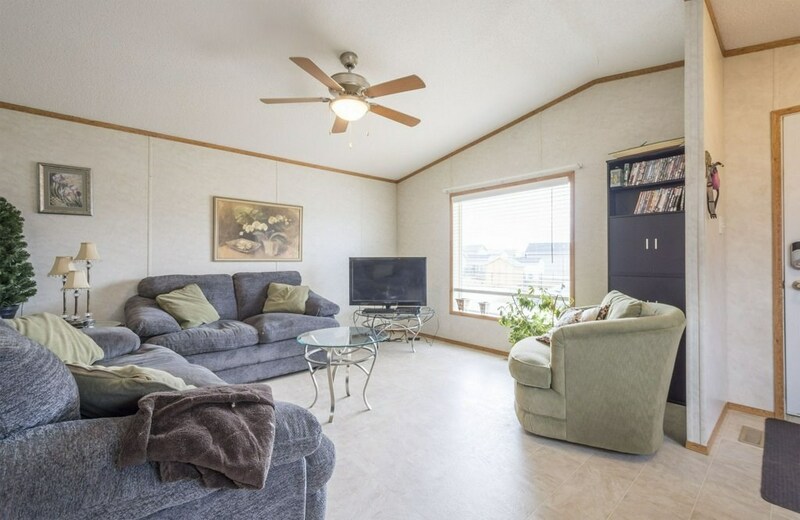 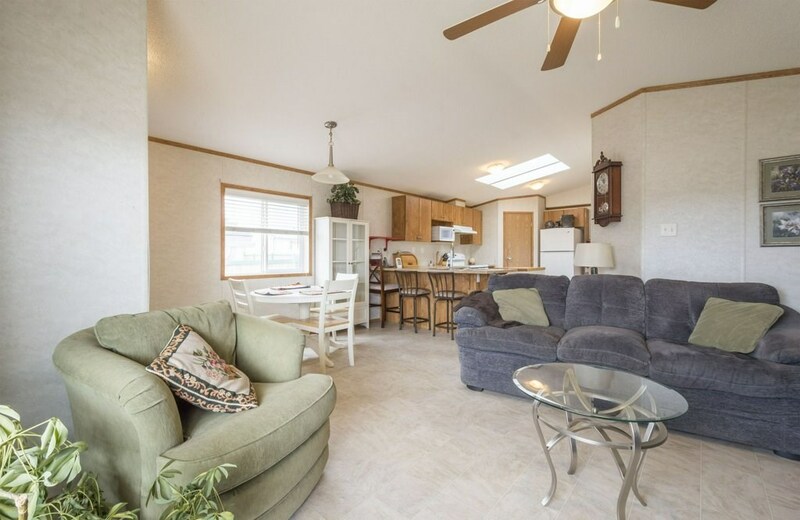 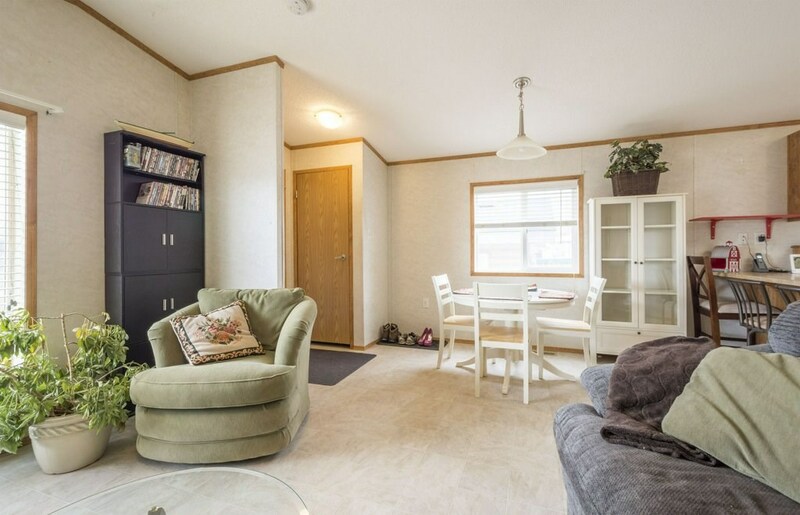 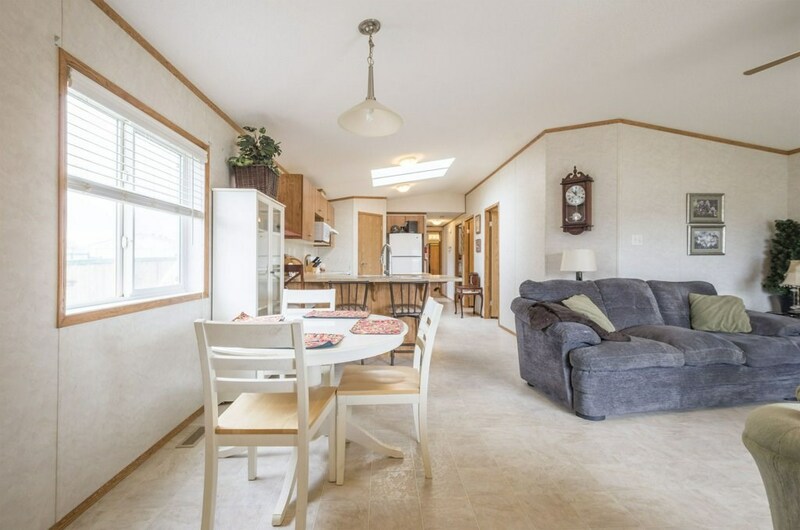 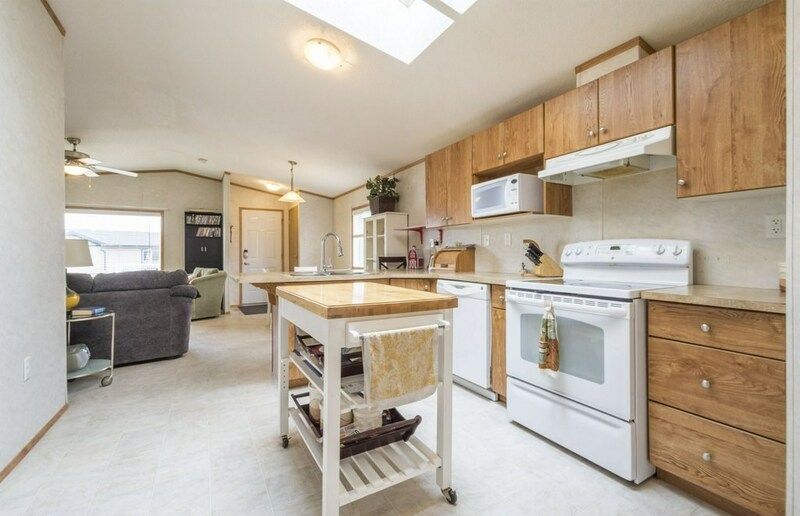 Open concept living is bright with vaulted ceilings and skylights. 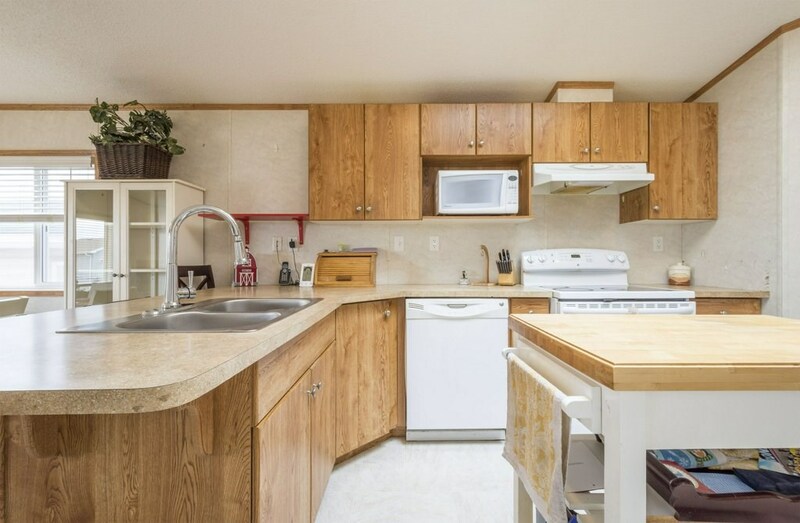 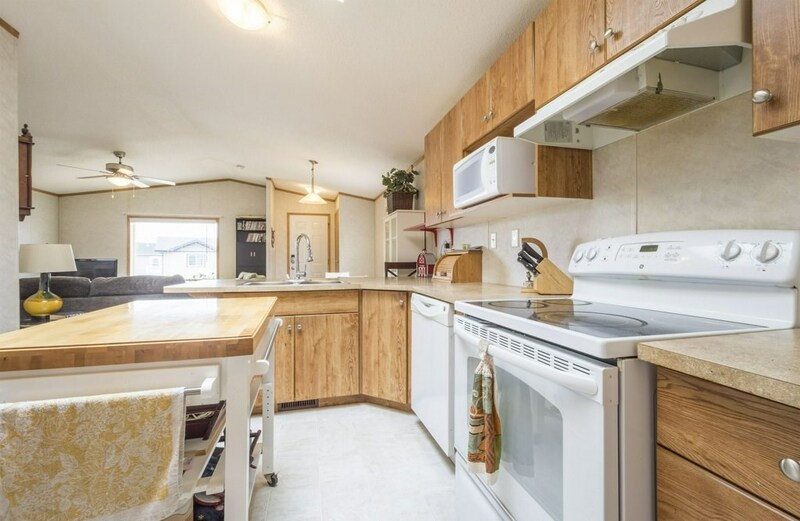 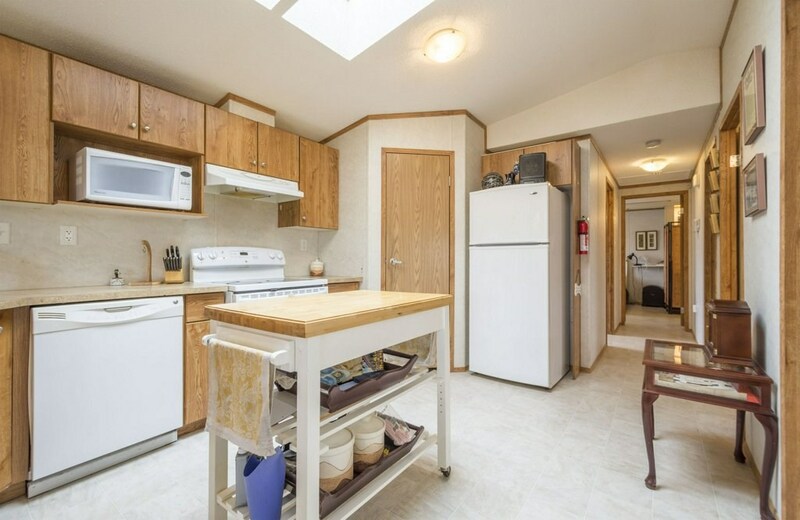 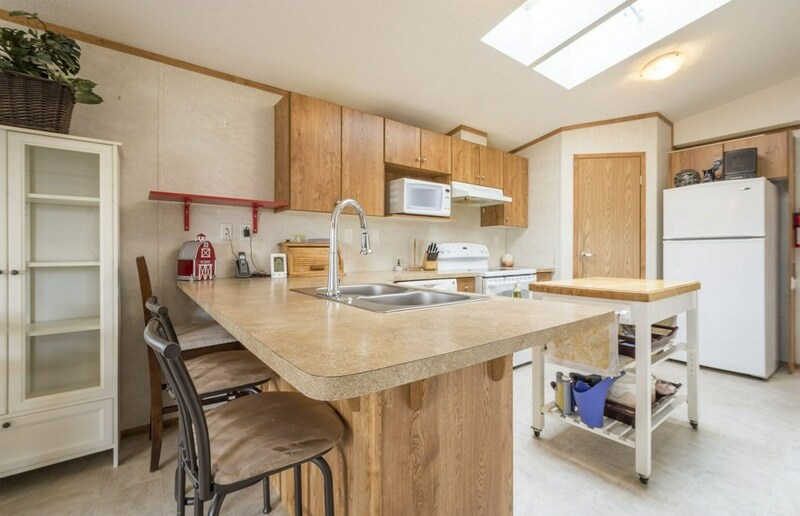 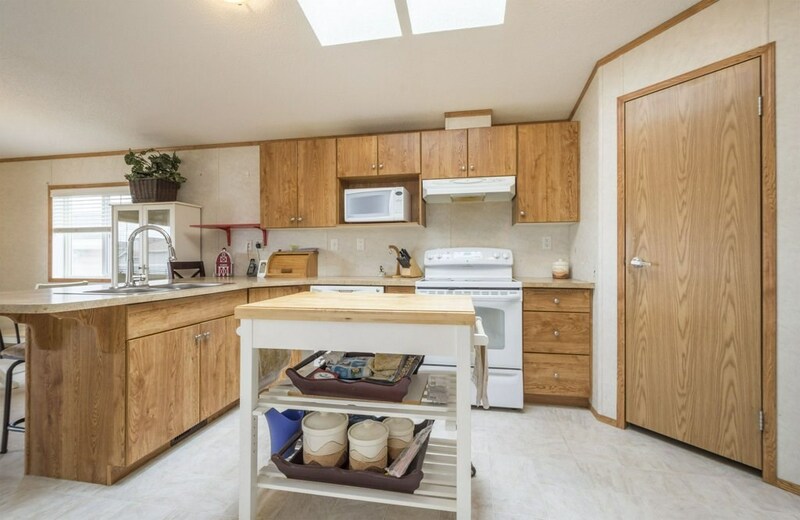 Kitchen has moveable island for convenient prep space & corner pantry for excellent storage. 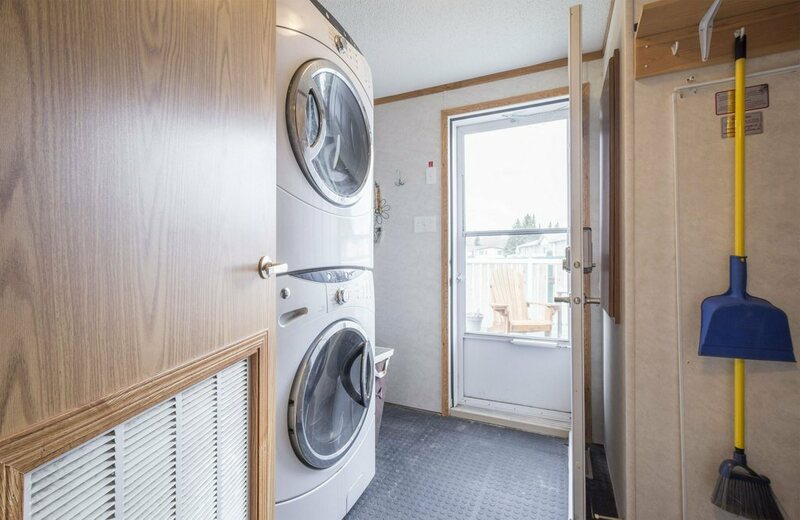 Laundry room is spacious with room for upright freezer. 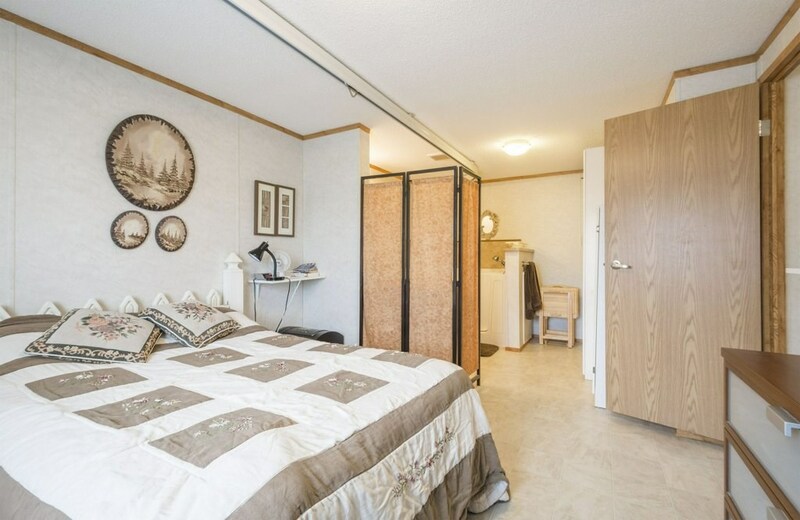 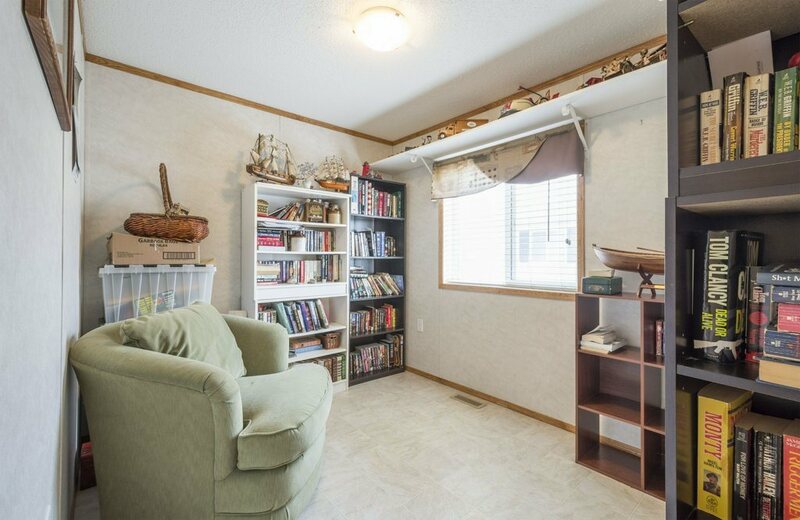 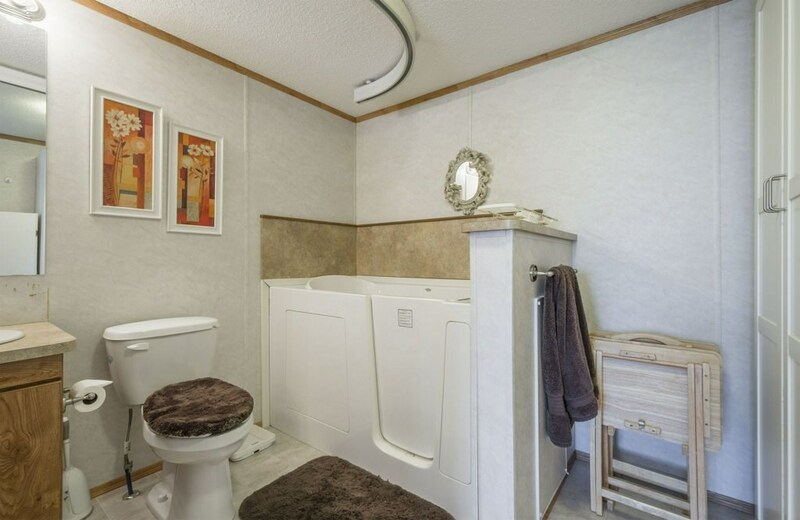 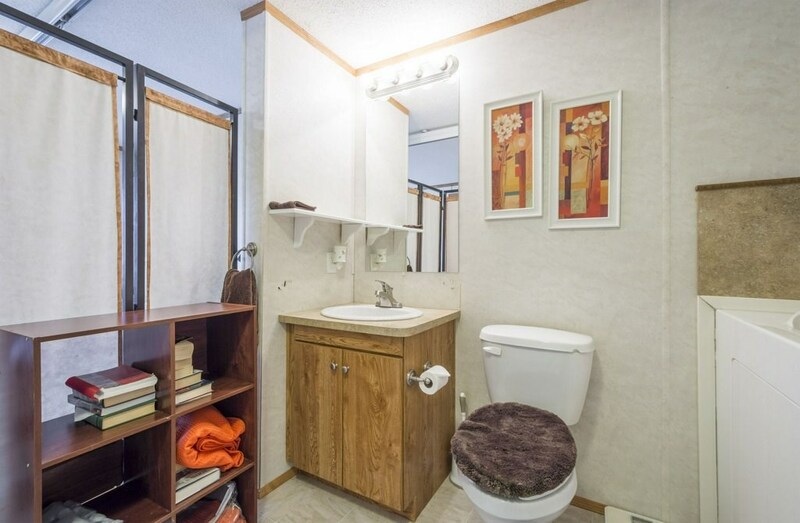 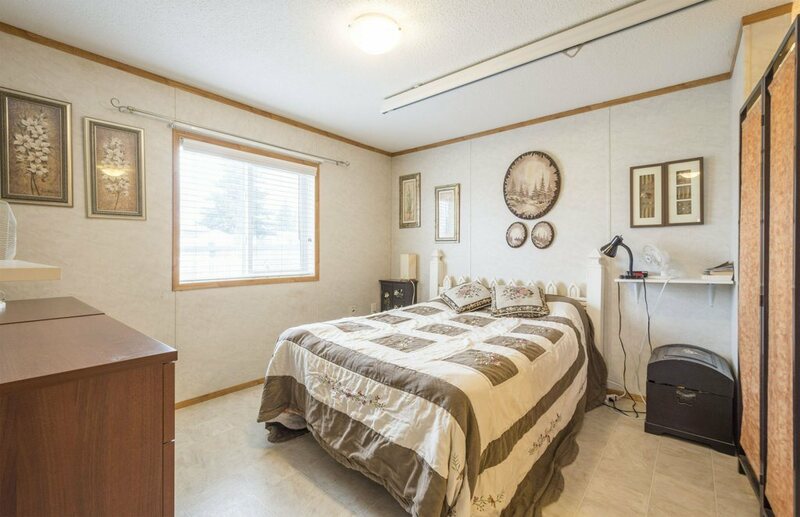 Master bedroom is handicapped equipped with a ceiling track for transfer into the upgraded walk-in tub w/bench seat. 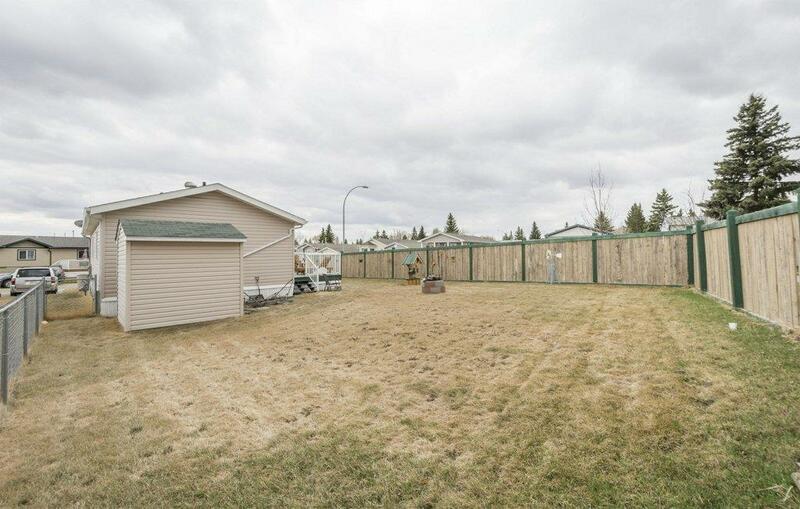 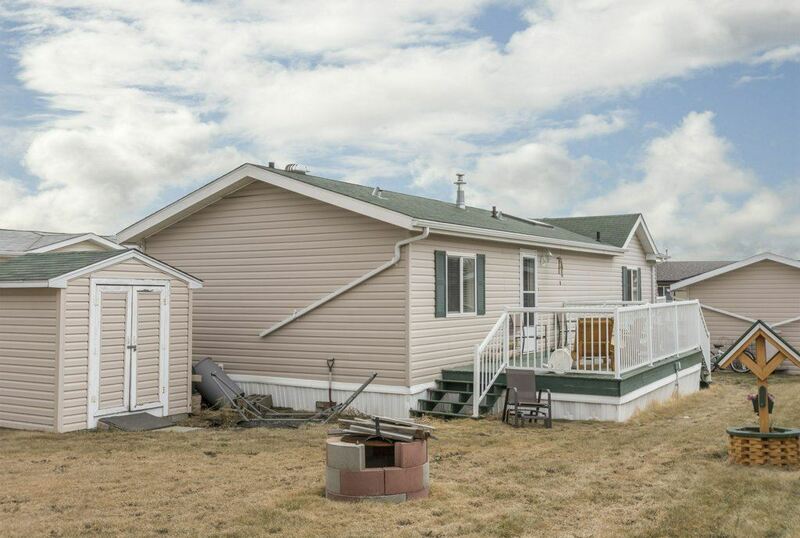 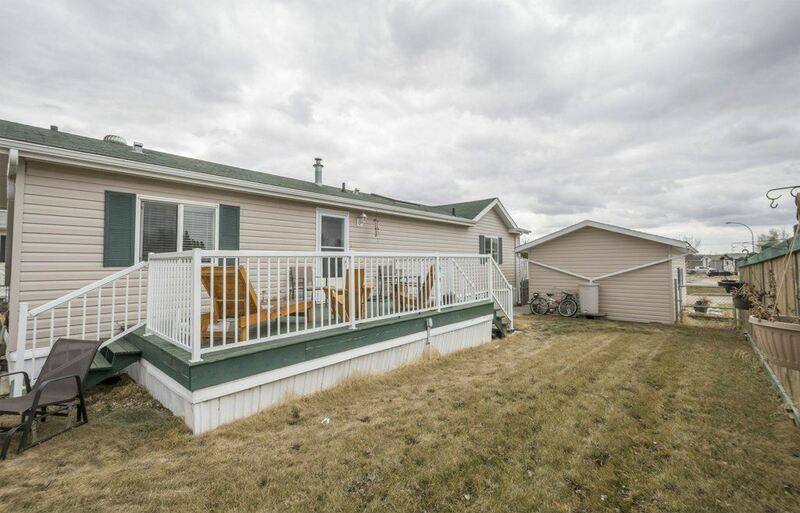 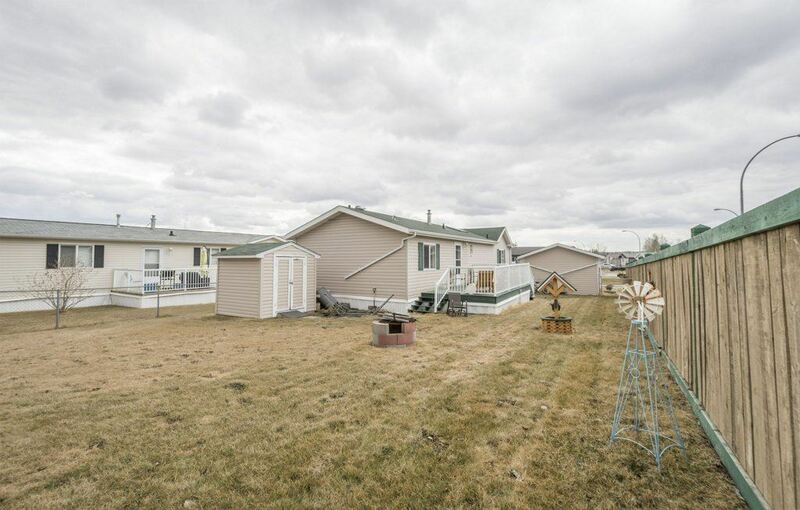 Spend your summer evenings in the HUGE corner lot yard with LARGE deck, firepit and storage shed. 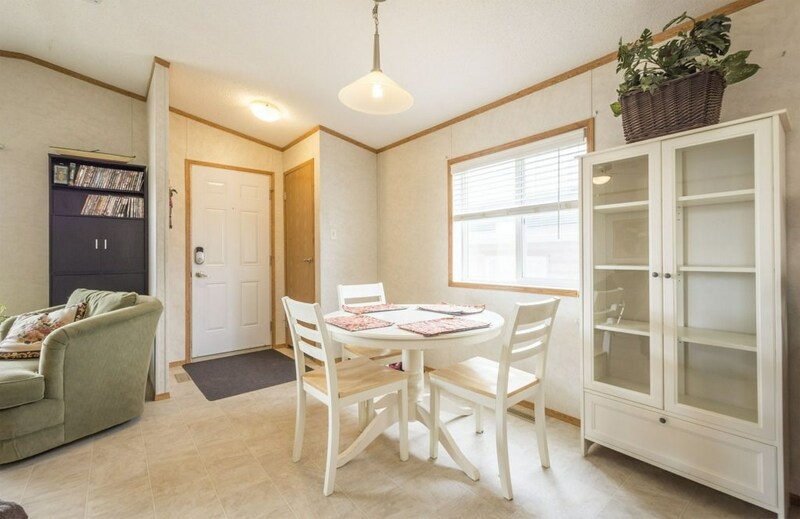 Enjoy affordable living in the professionally managed community of Parkland Village, which boasts a restaurant/pub, gas station & convenience store, k-4 school, community centre and various playgrounds & walking trails! 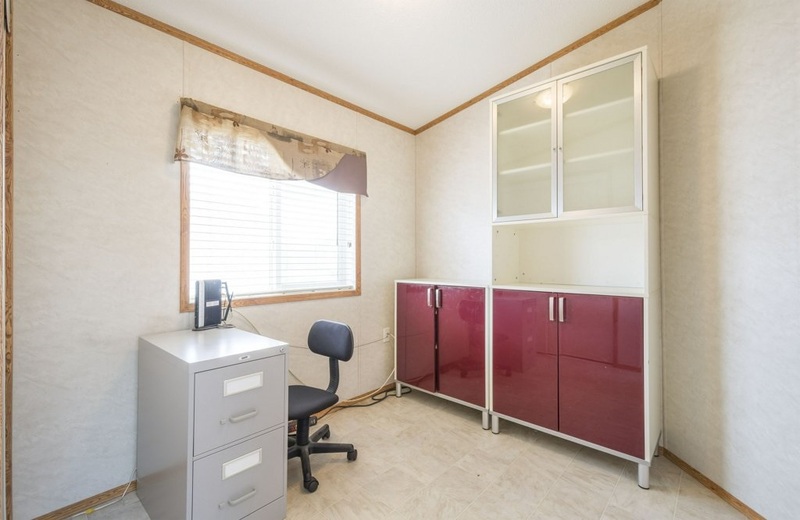 Lot rent $660/month in professionally managed community. 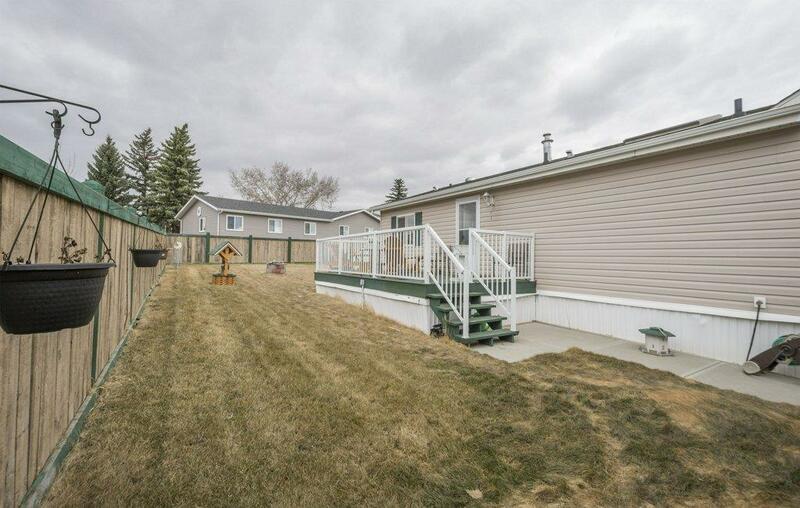 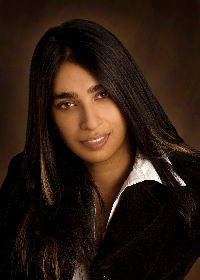 This property is listed by Jazmin Laframboise of RE/MAX River City and provided here courtesy of Anu Khullar. 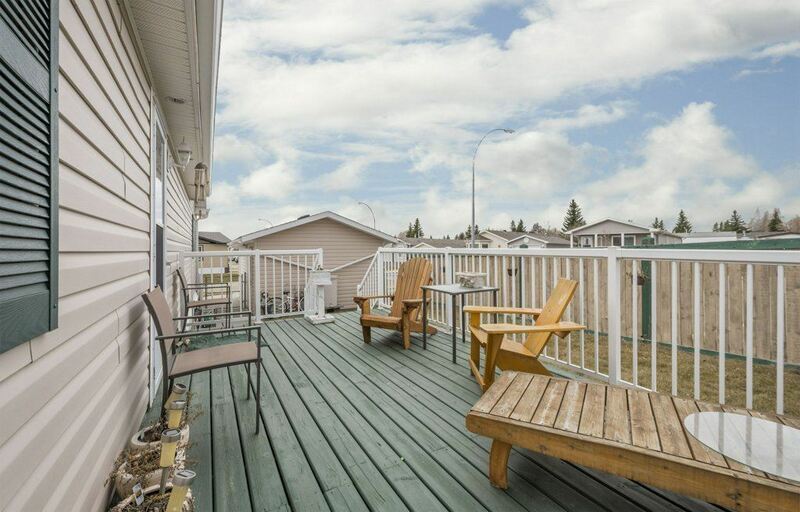 For more information or to schedule a viewing please contact Anu Khullar.